From jackets made of hammered sheet metal, to cuffs of delicate copper and organza, Heavy Metal—Women to Watch 2018 features a diverse array of wearable art. On one level, these pieces can be appreciated as sculptural works of art. On another, they are functional objects. 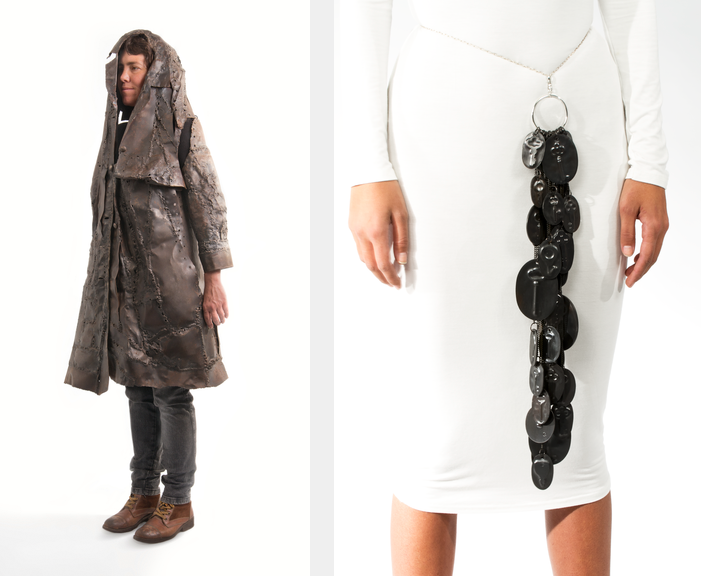 Artists Kerianne Quick and Carolina Rieckhof Brommer create wearable works that speak to the intimate roles that clothing and accessories can play in people’s lives. For both artists, metal is intrinsic to the meaning of their works. Quick’s The Utility of Sentimental Emotions, and Perceived Value (2017) references the objects that migrants—by choice or necessity—decide to leave behind or take with them. Quick’s work explores the significance and weight that a metal key can have to humans. Brommer’s welded steel coat, Self-portrait 4 (2005), mimics the folding and texture of fabric’s patchwork, but is as hard and immovable as armor. 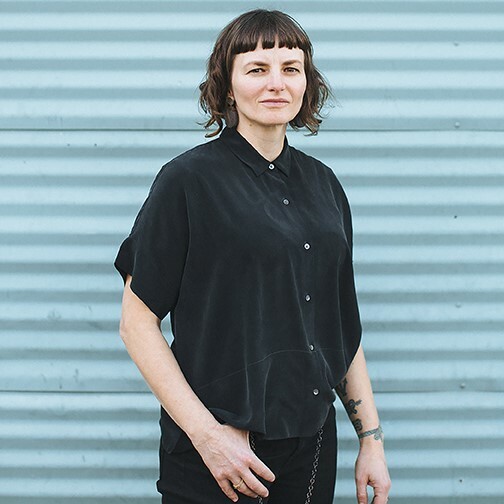 Brommer’s work was influenced by issues surrounding violence against women. The experience of shielding one’s body through clothing is not uncommon for many women. Several Heavy Metal artists create wearable art in the form of jewelry. Their works play with contrast and highlight metal’s lustrous qualities. Artists Petronella Eriksson and Cheryl Eve Acosta take inspiration from the natural world. Eriksson’s necklace, Waterlily (2013), contains smooth silver and a large piece of lemon quartz. Delicate, curling tendrils spill onto one shoulder of the person wearing the necklace. A minimalistic take on the flower, the cut gem references the yellow fruit at the center of a real plant. Acosta, influenced by the tropical environment of her native Puerto Rico, finds inspiration beneath the sea. 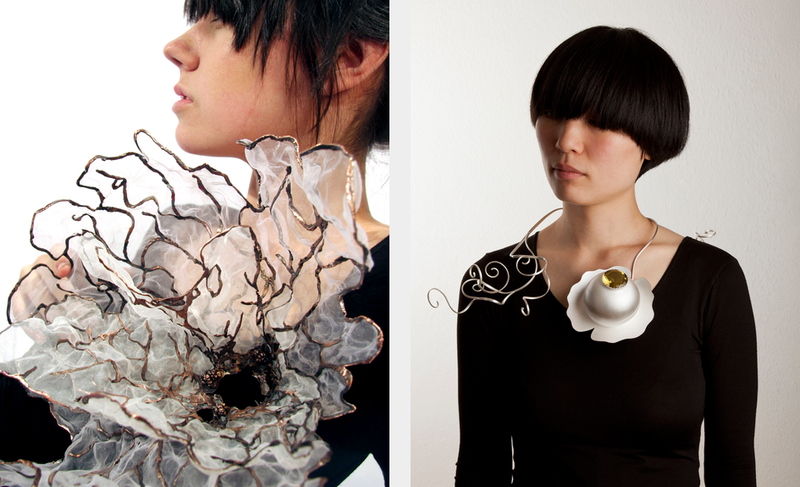 Although Acosta’s cuff Birth (2015) and collar Healing (2009) are made from copper, they refer to the shapes and forms of coral and barnacles. Metal is both a standard material for delicate jewelry and an unlikely material for clothing. The artists in Heavy Metal embrace the unexpected to create innovative, dynamic works. Heavy Metal—Women to Watch 2018 is on view through September 16, 2018. —Nana Gongadze is the summer 2018 publications and communications/marketing intern at the National Museum of Women in the Arts.